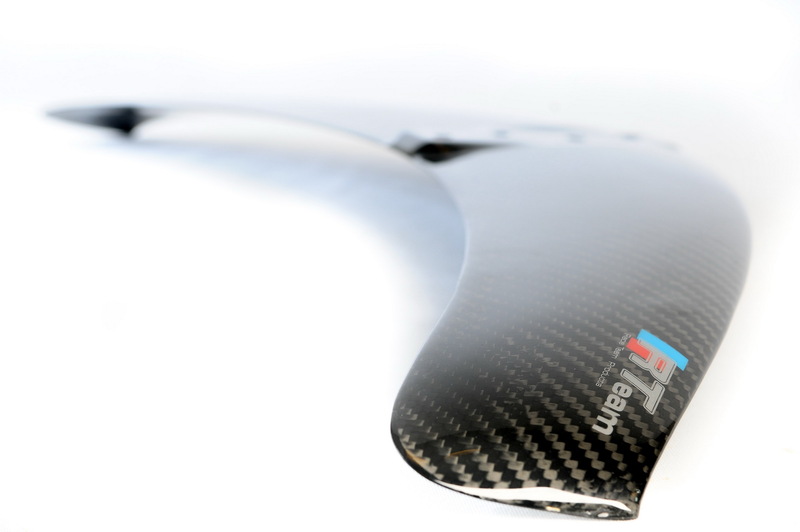 At the beginning, the new Kitefoil Wing Wave was developed on prototype with goal creating one wing which allowing experience at low speed to perform in harmony with wave. Nevertheless, the months of work, expertise and testing allowed evaluating the concept. Indeed, research demonstrated that when we practice in wave condition, wing needs two antagonistic features. First, it was necessary to have possibility to progress low-speed in the wave. Then, the hardly winds control and overspeed were problematic. We need to have a big acceleration capacity for gusts of wind or fall of waves at full speed to escape from critical areas. Thus, technical specifications progress as wing’s design to result on the wing Wave much sought after. It combines hydrofoil race profile with wave’s outline. An astonishing mix with great ability to progress at slow speed following swell but also perfect for Freeride if we wish to improve all maneuvers. This performance doesn’t stop here ! The new wing Wave is able to achieve reaching speed of over 30 knots. This speed is really significant thanks to atypical area of its wing with 700cm². It is unique to date on Foil market. In technological terms, the Wave has a VAS system (Variable Angle System) which allows to have impact on supporting profile different between center’s and end’s wing. 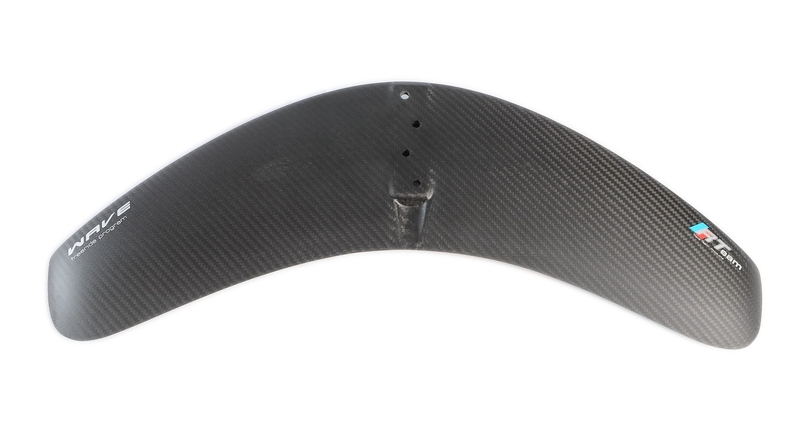 This feature gives a high load-bearing capacity for wing and increase load’s profile to greatly increase speed range. Finally, we have variable-geometry system works only on profile’s angles. This system generates a perfect profile’s load for a perfect control, a stability off-grade and a stall very progressive. This option to reduce speed combined with acceleration value allows ability to upwind with high speed. The dihedral curvature of Wing wave has calculated to get a perfect and homogeneous position into turns but also an important maneuverability without excessive sway and without ball change. 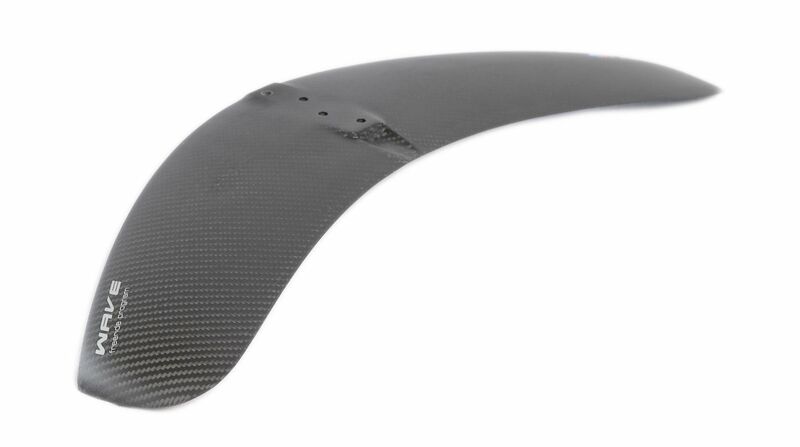 This wing has an excellent low range similar of XLP with speed and maneuverability more high. It is for advanced novice and Foil’s experts. It is a product 100% RTeam manufactured by Race Team division based in the French Alps. This division designs and creates all high-end wings to get specifications always more highed. The Wave wing is available matt or glossy version.